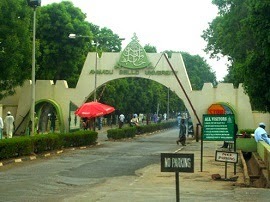 Ahmadu Bello University, ABU post UTME form for the 2014/2015 academic session is out. ABU cut-off mark is 180. This is to inform the general public that the POST-UTME screening exercise of Ahmadu Bello University, ABU for the 2014/2015 session will take place as indicated below. a. Candidates who scored 180 and above in UTME for all Courses. b. And must have chosen Ahmadu Bello University as their first choice. Registration for the screening exercise will commence from Tuesday 9th July, 2014 and close on Thursday 7th August, 2014. Applicants are required to pay a sum of N2, 200.00 for the screening exercise. This is exclusive of bank administrative charges of N200.00. To make the payment, candidates are advised to visit the University PUTME registration portal (putme.abu.edu.ng) and Generate a Transaction Payment Slip, print the slip and proceed to any of the designated banks below for payment. Candidate are to use their Jamb registration number as their username and their respective state of origin as password for login in. 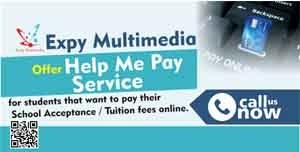 After making payment in any of the prescribed Banks, candidates are to go back to the PUTME portal (putme.abu.edu.ng) to finish up their registration and schedule for the Screening Test. The printout of the scheduled test and a printout of the UTME result MUST be submitted on the day of the screening. Candidates MUST keep photocopies of all submissions for their own records. Candidates MUST arrive at the screening venue atleast One Hour before their scheduled screening time, to ensure proper briefing and accreditation. i. (GSM Phones are not allowed during the Post-UTME Screening Exercise. ii. Parents, Guardians and uninvited law enforcement agencies will not be allowed into the venues during the Post-UTME Screening Exercise. iii. Only the calculators similar to those provided by JAMB will be allowed into the screening venue. a. Venues, dates and time for Screening are as contained on the scheduling Slip. Any candidate who fails to appear for the screening exercise on the date indicated on his/her Schedule Slip would not be considered for admission into the Ahmadu Bello University, Zaria during the 2014/2015 academic session. b. A transaction id will be generated for you, printout the Slip and go to any of the designated banks listed above and make payment. f. Upload your true passport size photograph in JPG format (not more than 100KB) and O/level results (where available). g. Choose awaiting result where applicable. Ensure that your photograph is uploaded. h. Click on the save button. j. Print 2 copies of the Scheduling slip and bring along during the screening exercise. k. if you experience any problem with login to the Portal, uploading your passport photograph or OL results call 07067430505, 07067430539, 07067430512 or 07067430531. 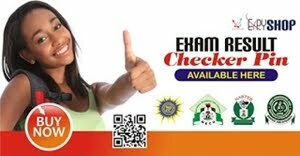 Get your JAMB Result Slip with passport on it for ABU Post-UTME registration. Click Here to Apply!